The TZ930 is Tenzing's fully adjustable lumbar pack, able to carry a fairly heavy load thans to an efficient shoulder harness suspension. Comfortable too! Works perfectly for minimalists or short stalks. The TZ930 is Tenzing&apos;s fully adjustable lumbar pack, able to carry a fairly heavy load thans to an efficient shoulder harness suspension. Comfortable too! Works perfectly for minimalists or short stalks. Use this versatile pattern it as your sage-covered hillside, mesquite flat, cropland, and wide-open prairie camo. Also choose it for deserts and rocky terrain. 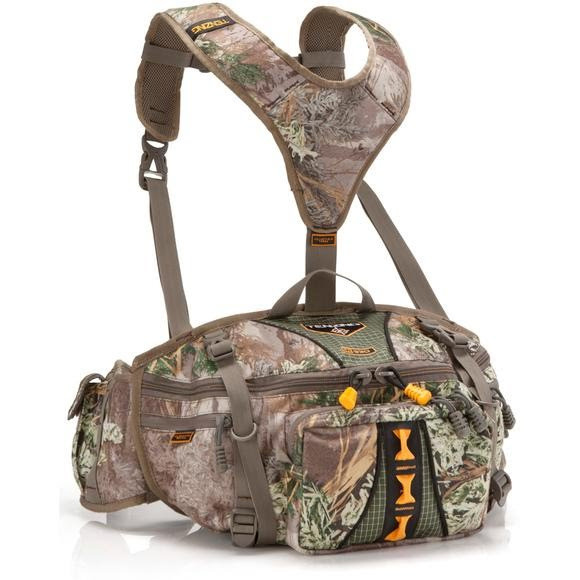 Realtree Max-1 is the one to wear for hunting mule deer, whitetail, pronghorn, elk, bighorn, and turkey. It&apos;s an ideal predator hunting camo, too.